Arriving in America in 1904, Carlo Tresca began a nearly forty-year stretch as an active revolutionary. 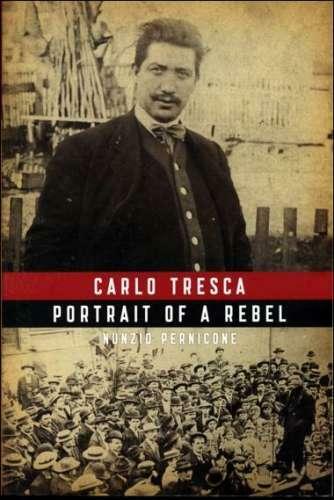 Nunzio Pernicone's definitive biography chronicles Tresca's larger-than-life personality, his revolutionary apprenticeship in Sulmona, Italy, and his subsequent career as fighter for liberty until his untimely death in 1943. The story of his life - as newspaper editor, labor agitator, anarchist, anti-communist, street fighter, and opponent of fascism - illuminates the lost world of Italian-American radicalism. Among friends and comrades Tresca counted revolutionary luminaries such as Elizabeth Gurley Flynn, "Big Bill" Haywood, Alexander Berkman, Emma Goldman, and countless sovversivi. From his work on behalf of the IWW, to his editorship of numerous papers, including Il Proletario and Il Martello, and his assassination on the streets of New York City, Tresca's passion left a permanent mark on the American map. Thanks for getting this one up!